Story: Maybe getting married first is the best way to fall in love. As divorce attorneys, Audrey and Daniel have seen love gone wrong in all its worst case scenarios. So, how bad could their chances be? 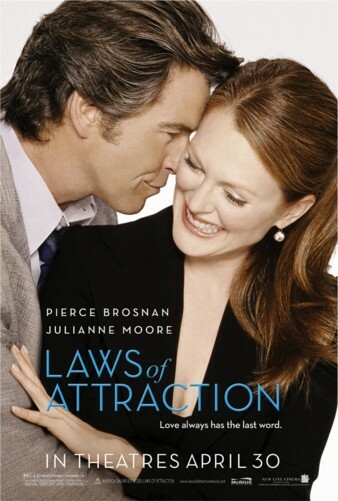 Academy Award nominee Julianne Moore and Pierce Brosnan star in Laws of Attraction, directed by Peter Howitt (Sliding Doors). The script is based on a story by David Friendly, written by Aline Brosh McKenna, Karey Kirkpatrick, Robert Harling, Peter Howitt and Douglas McFerran.